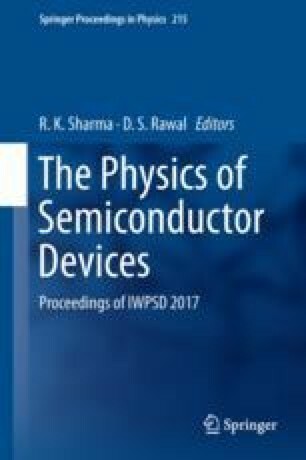 In this paper the effect of different device parameters on noise performance of enhancement mode N-polar GaN MOS-HEMT is investigated. Different device parameters like gate length, gate geometry, gate position, oxide thickness and AlGaN composition, are varied using TCAD simulations to access the noise performance of the device. The variation of different noise parameters such as minimum noise figure and noise resistance at different frequency with respect to the device parameters are studied. The authors acknowledge TEQIP-II for facilitating Silvaco TCAD and Keysights’s ADS tool in Department of ECE, NIT Silchar for carrying out the research work.